Before dining on a dime in Waitsfield, I sat on a nickel. On a made-in-Vermont swing through the Mad River Valley, I stopped for a peek at the Bundy Modern. Wow! The stunning hillside gallery in a private home in Waitsfield is exhibiting the work of southern Vermont artist Johnny Swing through September 10. (Read the Seven Days review here.) Many of Swing's pieces are made of money, including a low-slung couch of welded nickels that I sat on gingerly — mindful of the $150,000 price tag. Swing's chair of pennies is listed for a cool quarter mill. With those prices in mind, I felt like I hit the bargain basement when I got to the Mad River Taste Place. The priciest cheese, Sunrise from Mt. Mansfield Creamery, sells for $31.99 a pound. Most are in the $16 to $20 per pound price range, and all are made locally. The Vermont specialty shop opened two months ago in a former bank in a strip mall off Route 100. A big rock at the end of the driveway blocks people from driving up to the erstwhile teller window. But you can enter by foot through a door at the back side of the building. The high-ceilinged shop is filled with Vermont products including chocolates, breads, birch syrup, honey and booze. The old bank vault stores a new set of valuables: cheese and beer. 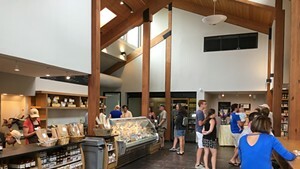 Cheese, in fact, is the main product at the Taste Place, which has a rotating, seasonal cast of about 55 Vermont cheeses in its deli case out of 80 total varieties. 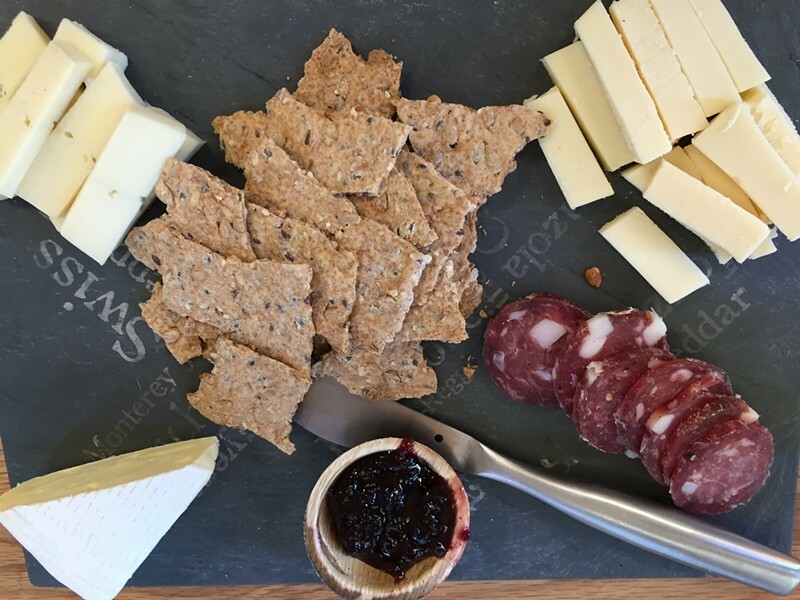 Though the business is mostly a retail shop, you can eat a cheese and charcuterie board in-house. My friend and I shared the $13 plate and it was plenty of food for two — with three types of cheese, hard salami, a small bowl of jam, and matzoh from Patchwork Farm and Bakery in Hardwick. 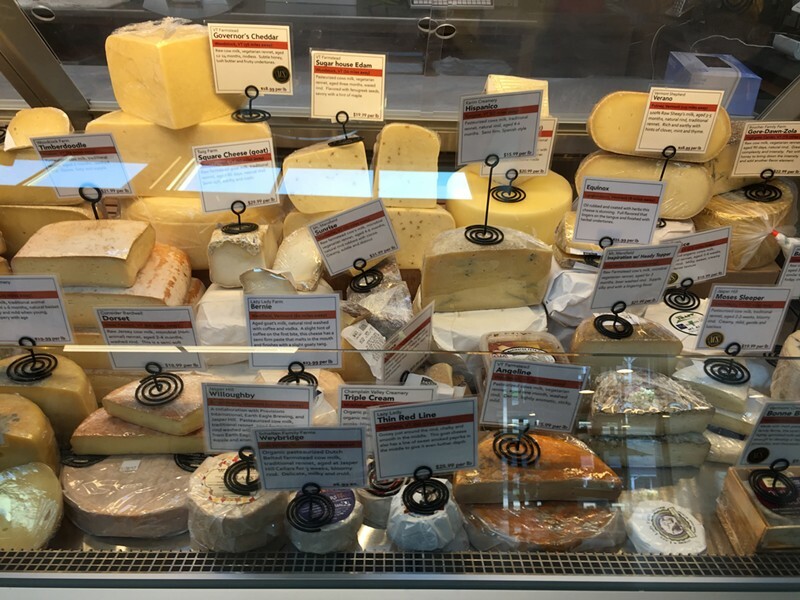 Customers can select their own cheeses, almost a daunting task, or get guidance from the welcoming and well-informed staff. We paired our late-afternoon meal with a lovely saison from 1st Republic Brewery in Essex Junction. For leaf peepers looking for a Vermont snack, Mad River Taste Place is a fun place to pull over. Just steer clear of the old drive-through lane.